The purpose of Urban Resources Development Corporation is to help stabilize neighborhoods in Germantown, Mt. Airy, East/West Oak Lane, and surrounding communities by addressing the housing needs of low and moderate income families through its Owner-Occupied Repair Program and Housing Rehabilitation Program. URDC was established in 1995 by three churches in the Germantown section of Philadelphia with the purpose of addressing housing blight in stable neighborhoods. URDC purchases and renovates abandoned or dilapidated houses and then sells them to first time home buyers. URDC recognized that many owner-occupied homes in the community were also in disrepair. 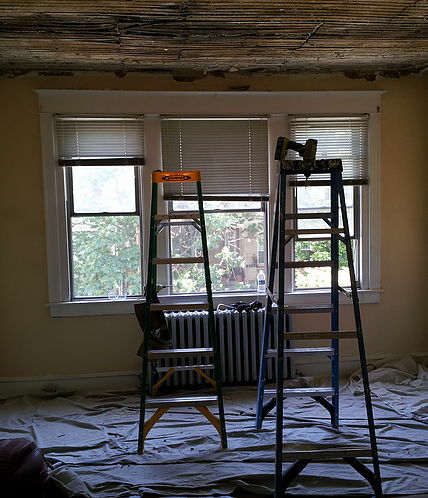 In 2006, URDC, in partnership with National Penn Bank, launched the Owner-Occupied Repair Program(OORP) to help low and moderate income families obtain funding for the needed repairs on their homes with low interest, unsecured loans from National Penn Bank and/or financial assistance from URDC. By 2017, more than 30 houses had been purchased, renovated, and sold and over 275 families had received funding for repairs on their homes. Our Board of Directors has expanded to include twelve faith communities along with five At-Large members.